Headphones are a daily necessity for every person every day, and when those headphones are noise canceling headphones there is no beating it. When we go outside and listen to music, most of it is the outside noise. Because each and every one of these headphones will help to cancel out the outside noise, you will only hear what you want to from your audio, nothing more or less. While some headphones have the options to control the amount of outside noise with their ANC, others can use to receive and cut phone calls, and even use over FaceTime. Overall, every single of these headphones provide a noise canceling so you can listen to music like the way it is meant to be heard, that is without any distractions. From lightweight devices to the heavy-duty stuff, this list has many different models with many different qualities to fit everyone’s requirements. 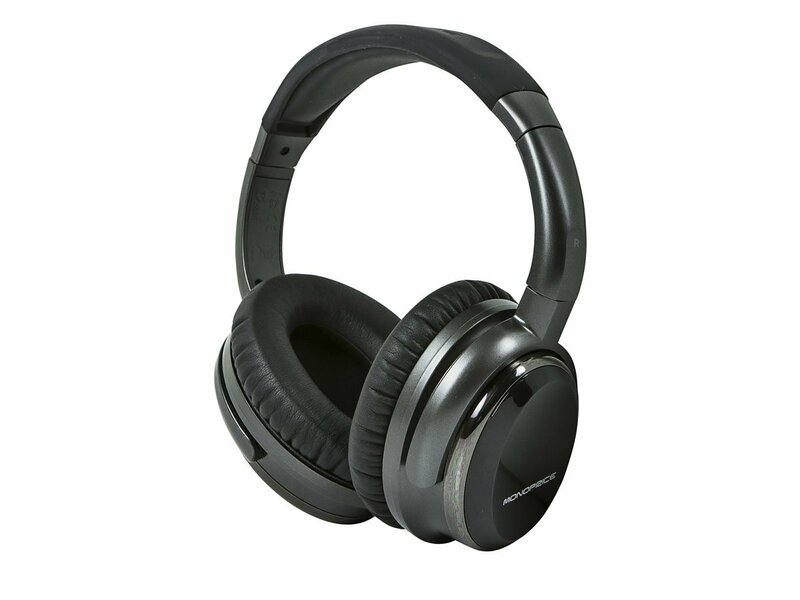 The Monoprice Hi-Fi Active Noise Cancelling Headphones are a pair with some of the latest technologies to support it. The noise pressure has a linear reduction of 92%. Overall it weighs less than 6.3 oz, which makes it super lightweight and easy to carry around, great for travel. 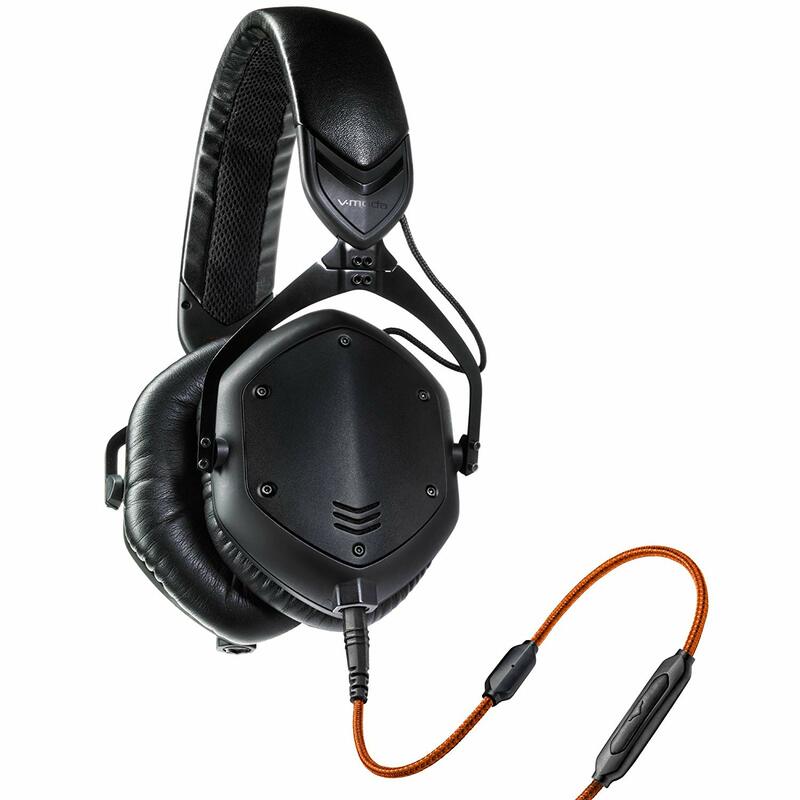 It also has over-ear headphones that have Active Noise Reduction (ANR) technology, which is the main key to blocking out outside noises. The ambient noise can be reduced by 35dB passive and 2 dB active. It has an in-line mic with PC VolP adapters and the whole thing comes in a nylon carrying case. This device runs on one AAA battery and it can provide service for up to 50 hours of using the ANR. One can choose to play their audio through the headphones with or without the use of ANR. The drivers are of Neodymium and are 40mm with a frequency response of 20 Hz to 20 kHz, and a Total Harmonic Distortion (THD) of less than 1% and this helps to offer a great range of audio reproduction. This in combination with the ANR technology immerses one fully into the expansive and realistic audio. This pair of headphones can also be used to take and end calls with its 3-button remote cable that is compatible with iPhones and iPads. It also has an internet calling adapter that can be used with VoIP applications on PC or Mac. a hard-shell nylon storage case. 55-inch audio cable with in-line mic and controls. These headphones can use for long hours without pain in the ears or discomfort. 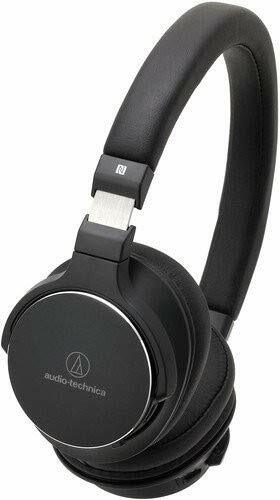 The ATH-SR5BTBK are noise cancelng headphones with wireless Bluetooth technology. This comes with a mic and volume control switches which are built into the ear cups that are convenient to control with smartphones and any other wireless devices. The headphones feature NFC, or Near Field Communication that allows touch pairing with other NFC compatible Bluetooth devices. The Bluetooth can be paired with up to 8 devices. Drivers are large at 45mm for the truly outstanding quality of sound. The LED indicators in the ear cup display pairing information, battery level, and charging. It is also coated with soft comfortable memory foam ear pads and an adjustable headband slider. These help to keep it in place. The internal battery can provide power for up to 38 hours, and a whopping 1000 hours on standby at full charge. The cable is 1.2m with mic or controls that provide a wired connection for times you cannot connect it wirelessly because it’s prohibited. This comes in handy when you are using these headphones in the hospital, an airplane, when Hi-Res Audio is required or when you run out of battery. It also includes a 1.0 m USB cable for charging along with a carrying pouch. 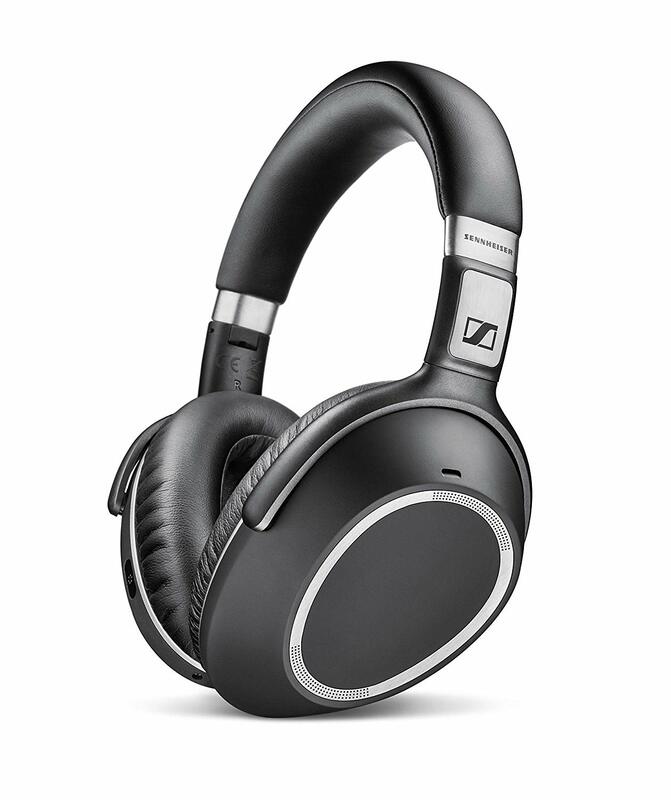 These noise-canceling headphones come in the color black and are the Closed-back Dynamic type. The frequency response of this device is greater than most from only 5 Hz to as great as 40,000 Hz. The maximum input power is 1500 mW for connections that are wired, while the sensitivity is 100 dB per mW. The impedance is 35 ohms, the battery is DC 3.7V lithium polymer battery with a charging time of 4 hours. It weighs 185 g and the connector is a 3.5 mm stereo mini-plug, L-shaped. One pro is the sound quality which can reach high volumes. A renowned brand when it comes to noise canceling headphones, these headphones introduce MDR-1A Stereo Headphones with Hi-Res audio response. These can reproduce sound up to 100 kHz. It has 40mm driver units along with ALCP that helps to create better audio reproduction. And a 4-conductor cable that separates signals for efficiently, all together creating a better sound quality. The ear pads provide comfort for long usage periods. These headphones are compatible with 3 optional cables with Kimber Kable. The cable is silver coated OFC, and it helps to minimize transmission losses. The structure of these headphones is made in a way so that it can be folded and has an acoustic seal. 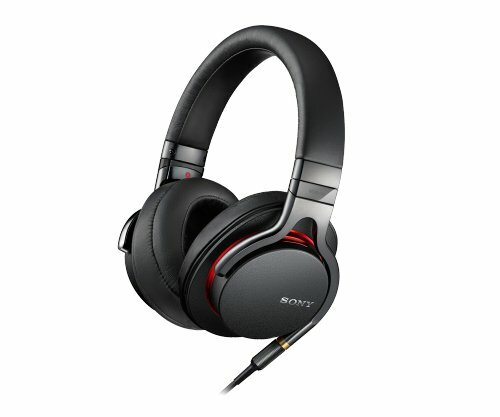 The Sony MDR1A sports inward axis that delivers a good fit. Silent joints so it will not interfere with the music, an In-line remote with the microphone so you can call hands-free. The whole thing comes in a pouch to carry in so is great for traveling purposes. The cord length is 3.94 feet and sensitivities are 105 dB/mW. It has aluminum coated Liquid Crystal Polymer driver units which make it lightweight and gives it the rigidity it requires. While the internal loss delivers a linear and wideband frequency which ranges from sub-harmonic lows like 3 Hz to ultra-sonic highs like 100 kHz. You get a balanced yet natural sound from these features. The cables are of copper and are oxygen free, so this ensures minimal degradation of transmission. The unique 4 wire structure increases the audio experience because of the separate ground and signals connection to each driver. The ear pads are of urethane cushions that give comfort and seals the audio from the outside. A pro is a sculpted sound that gives a lot of basses and that the sounds are not flat. With wired technology, these noise canceling headphones have patented 50 mm dual-diaphragm drivers that can separate clean deep bass from vivid mids and ultra-extended highs. The CLIQFOLD design is best for storage. Its type is Over-Ear Circumaural, and the exoskeleton features V-STRAP system. The frequency response is 5 to 30,000 Hz. It’s made out of 3D printed metal that makes it super lightweight, bliss memory foam and fiber personalization it has a sensitivity of 103 dB at 1kHz 1mW. It has a microphone sensitivity of 42 dB at 1 kHz, an impedance of 32 ohms and a weight of 280 g.
It provides sound as clear as that of a live performance that can enhance lifelike vocals and crispy hi-hats. This does not come with any batteries made from any sort of artificial processing. And does not have the pollution of having to convert from digital to analog. The cushions that cover the ears block all sorts of outside noises, so the user can focus solely on the audio being played. The headband is of a hexagon shape and one that fits the head like a glove to minimize any gaps from which the sound can escape. The leather used is completely vegan, and the rest of the body is metal. The steel structure is such that it can fold to an extremely small shape, perfect for carrying around. This can in all sorts of environments without damage, it high or low temperatures, UV exposure or humidity. This device is super versatile for techies, musicians, DJs and gamers, and is very durable as well. The Bluetooth is version 4.0 with NFC Pairing, the frequency range is 18 to 22,000 Hz, impedance is 18 Ω, Sound Pressure Level is 113 dB, where passive is 1 kHz per 1 Vrms. Total Harmonic Distortion (THD) is less than 0.5% (1 kHz/100 dB) and battery life is up to 25 Hours. The weight of the headphones is 8.4 oz. 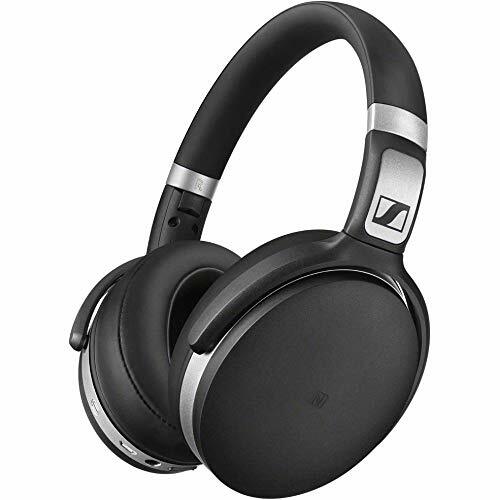 or 238 g.
Noise canceling headphones with exceptional sound quality, the Sennheiser HD 4.50 has aptX technologies and Bluetooth to provide wireless technology. It comes with noise guard active noise cancellation that allows the elimination of ambient noise to enhance the audio experience. 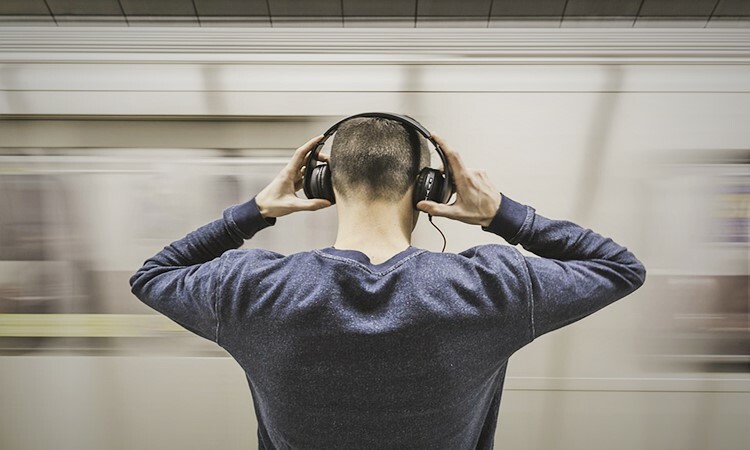 This is perfect for traveling in trains, airplanes or anywhere with lots of unwanted noise. There are also intuitive mounted controls on the ear cup to be able to make calls or change the audio through the integrated microphone. With up to 19 hours of battery life with the Bluetooth and noise guard activated. It can also go battery-free with the detachable cord if the headset ever loses power. It also has proprietary drivers to provide perfectly dynamic bass. 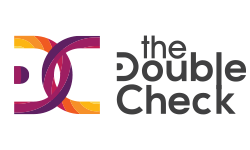 The NFC or Near Field Communication allows for smart pairing without any trouble. The ear pads are covered in soft leather which gives great comfort while looking stylish. The side-swiveling ear cups make it just right to fold into a small headband design, and the HD 4.50 wireless can too be stored compactly in the case that comes with the headphones. These noise-canceling headphones feature Pure Adaptive Noise Cancelling (Pure ANC) to deliver audio that effectively blocks out all sorts of outside noises, and lets you experience music clearly and in a crisp manner. With real-time audio calibration, this preserves clarity, emotion, and range by blocking all external sounds. The W1 chip allows the user to play audio for a straight 22 hours with just one charge. If you chose to listen with the Pure ANC on, it can still go for 18 hours. It sports fast fuel charging that allows 3 hours of playback after charging for as little as 10 minutes. The convenient multi-function on-ear controls can use to activate Siri. The Bluetooth with an extended range of 30 feet allows one to move freely without worrying about their audio being disconnected. This is a Fit Over-Ear style headphone with built-in mic and controls. The battery life is up to 22 hours, and it supports Fast Fuel charging, is wireless and noise canceling. The weight is 9.17 oz or 260 g and this comes in a wide range of colors. The ear cups are soft and sport an ergonomic design. Thisnoise-cancelingg headphones is the incredible range, which allows users to leave their phones in one room and move to the other without losing connection. The Bluetooth is also super easy to pair with devices. These noise-canceling headphones come with NoiseGard Adaptive Noise Cancelling that helps to quite the surroundings and cancels out ambient noise to help the audio be the hero. For everything from noisy trains to airplanes, these are perfect. The PXC 550 wireless allows exceptional battery performance with up to 30 hours of battery life from a single charge, which can be done easily from a USB cable. Without the battery, the headset alone works with the remote cable passively as both a headphone and headset. The PXC 550 acts as a USB sound card when connected to a computer and improves the quality of sound to make it richer and more immersive. The headband is padded and has rotating ear cups which is comfortable even if it is used to for long time periods. It can fold too because of the collapsible frame and can tuck away for ease of transport. This PXC 550 also sports Bluetooth 4.0 that can connect to any NFC or Bluetooth enabled device. The right ear cup comes with a touchpad which can pause, play and skip tracks as well as take phone calls. The wearing style for the PXC 550 is around the ear, the Transducer Principle is Dynamic and Closed-back. The Bluetooth is version 4.2 with NFC and cable with a remote. Charging time is 3 hours, the frequency response is 17 to 23,000 Hz, impedance is 490 Ohms for active and 46 Ohms for passive. The Sound Pressure Level (SPL) is 110 dB (1 kHz / 1 Vrms), Total Harmonic Distortion (THD) is less than 0.5% (1 kHz, 100 dB), and they weigh 8 oz. or 227 g.
The Sennheiser triple microphone feature allows crystal clear speech for calls even in the noisiest of environments to make your work calls easy and efficient. 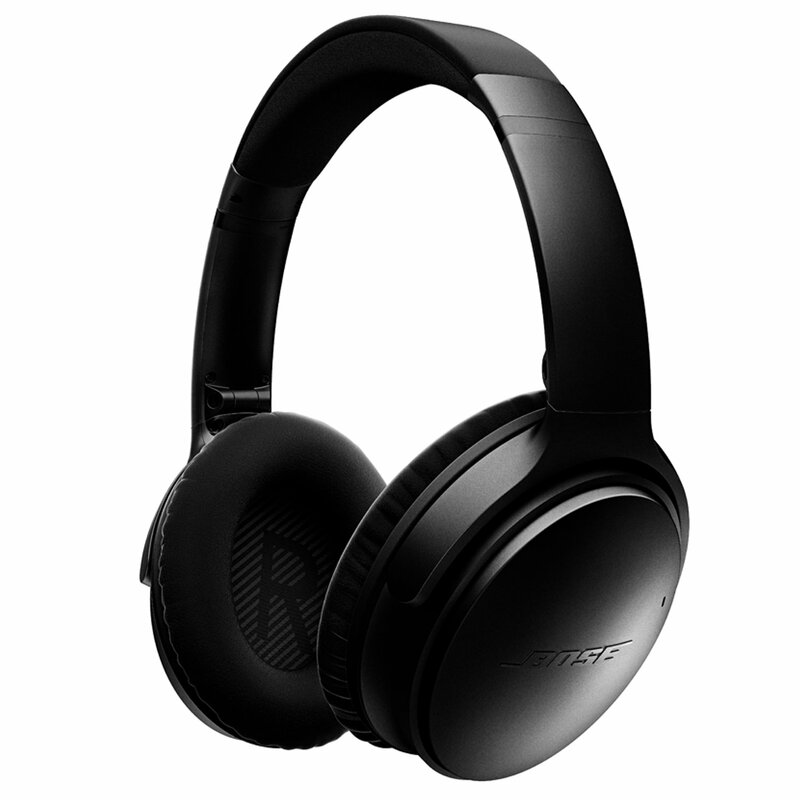 Experience world-class noise cancellation with these noise canceling headphones from Bose. The Bose QuietComfort 35 makes any sound or music sound better and enhances any audio that goes through it without wires. The acoustic noise canceling feature makes the actual audio sound better. Both amplified and crystal clear while making any outside noise non-existent so you can only focus on your music. Its battery is lithium ion and is rechargeable, thus it can go up to 20 hours of use without you having to recharge it, you can listen to your audio for longer. It only takes about 2.5 hours of charging to reach 100%. These headphones weigh only 10.9 oz which is not too bad for something this big. Being lightweight and wireless, this is very portable and travel-friendly. The ear cushions are plush and are covered in synthetic protein leather that gives it a chic outlook. The dual microphone feature helps to efficiently cancel out outside noises, so the calls you take are clearer than ever. No voice breaking and no interrupted work calls due to surrounding noises. The Bluetooth and NFC pairing allow one to enjoy their favorite music or simply enjoy the peace in a crowded and noisy environment, but without wires for more convenience. It features Volume Optimized EQ for the right balance of audio at any given volume. This model has a lot of pros, but mainly the noise cancelation takes the cake. It cancels out every drop of sound from the outside so you hear nothing but pure audio, and is a heavenly experience if it is with music. Another pro is the fit of this. Unlike most, this one with rotating headphones fit a wide range of heads, instead of just a few sizes, making it very versatile. With the Sony Noise Cancelling Headphones travel with absolutely no background noise. While you immerse yourself in the music or take a walk where you can appreciate music while being aware of your surroundings. The quick attention mode feature allows one to quickly turn down their audio volume simply by placing their hand on the right ear cup. So they can quickly engage in conversations. With a simple touch on the right ear cup, the user can also activate the phone’s voice assistant. The Smart Listening by Adaptive Sound Control detects the activity of the user to see where they are traveling and adjusts the volume accordingly. If you go from inside a crowded airport to somewhere quieter you do not have to do anything. You can also customize it according to your own preferences. The Hi-Res audio feature pairs with a 40mm driver and lets the user listen to the music as it has just been produced, while the S Master HX reduces distortions. The DSEE HXTM restores high range sounds that are normally lost in compression and feeds you clear audio. For wireless streaming, these headphones make use of LDAC which can transmit around three times more data than your average Bluetooth. The battery has an incredibly long life of 30 hours and allows quick charging of 70 minutes, or even as low as 10 minutes. These headphones also feature quick attention mode, ambient sound mode, adaptive sound control with its app, Bluetooth and NFC and touch control. USB Cable, a Connection Cable. Plug Adaptor and the Owner’s Manual. The advantage of this model is that it comes in two unique colors. One is a basic black, and the other a very unconventional yet chic gold. 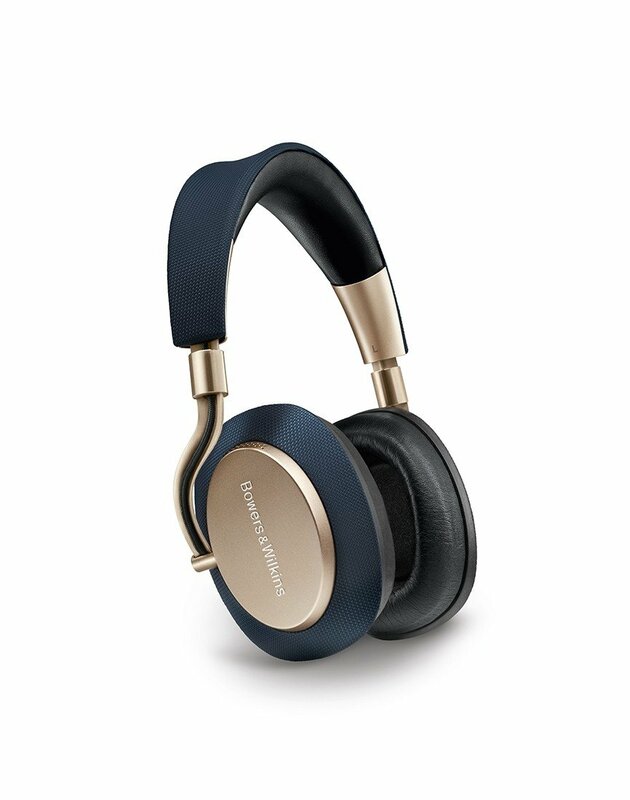 These Noise Cancelling Headphones from Bowers & Wilkins work with adaptive noise cancellation. This feature allows it to provide the perfect sound at any place, regardless of the surrounding. Be it a street or your workplace this will adjust the sound according to the user’s needs. The drivers have been slightly angled to provide a very natural perspective of stereo. To pause the audio all you need to do is lift an ear cup to put it to sleep. Simply put it down, to resume playing just pick it back up. The battery life is an entire 22 hours and putting it down and putting it to sleep also saves it battery life. Protective pouch to easily carry it around. USB-A to USB-C cable and a quick start bundle. 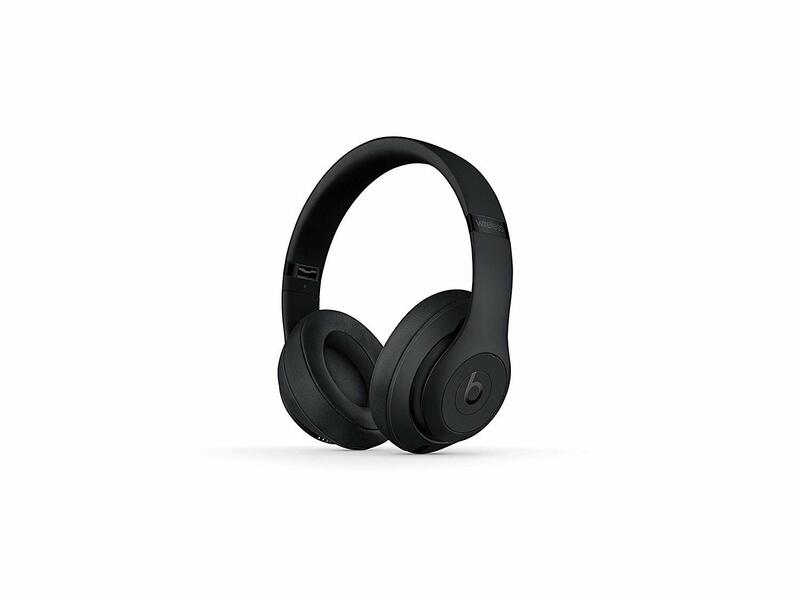 It features adaptive noise canceling, an advanced Bluetooth version 4.1 with aptX-HD for hi-res streaming. Also Natural UI – Built-in sensors that handle work like stopping audio playback when you put the headphones down and unbeatable acoustics from 40 mm full range drivers. It is built with premium materials and comes with a mobile companion app for personalization of audio playbacks. For specifications, this has a 3.5 mm stereo jack for optionally wired playback, USB-C, drive units of 40mm diameter, where the full range drivers performance is 10 Hz to 20 kHz. The frequency range is 22 ohms (passive), impedance is less than 0.3% (1kHz/10mW), distortion (THD) is 111 dB/V at 1 kHz and sensitivity is 1 V. The Dimensions of this product are 2.95 in deep, 6.89 in wide and 7.87 in tall, and the weight is 0.83 pounds. The fact of this product is the noise cancellation feature which works amazingly. Every person has different needs and requirements, and going out straight to purchase headphones without a plan can be overwhelming. Markets are flooded with designs and models and so many features, it’s hard to choose the right one for you. 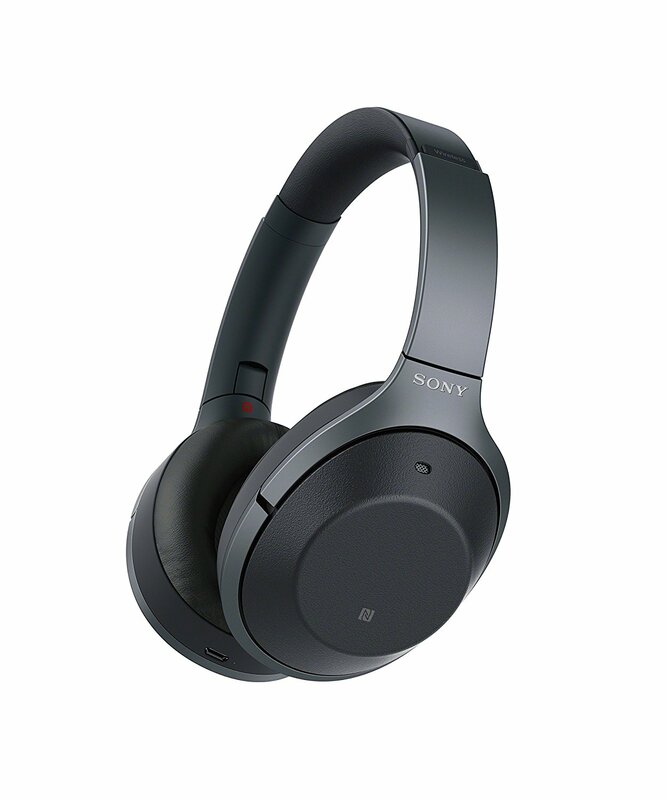 This list has a comprehensive collection of some of the best noise canceling headphones out there with all their features and specifications listed. It also comes with pros and cons for each pair so you can properly choose the one for you. It is great to be able to compare the products with each other and finally settle for the one that suits your needs the best.